Women’s leggings and yoga pants are often confused with each other. There is a number of key points that separate leggings from yoga pants, and these differences matter. The common cause of the confusion is that many yoga pants come with a legging-like cut. 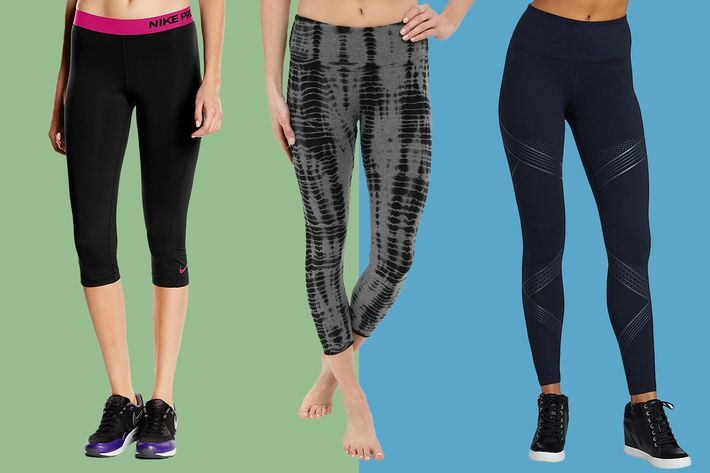 The fact that some leggings look pant-like, while some yoga pants have the legging-like properties can make things unclear. Hopefully, by highlighting the differences you can get a better idea of what to wear, and how to wear them. Firstly, the most important point about leggings is that they are generally not pants. You can say whatever you want, but do not wear leggings as pants. The material that leggings are made of is going to be mildly transparent and much too thin to provide full, pant-level coverage. To prevent a fashion faux pas be sure to pair a long shirt with leggings, or a short dress. Leggings are a great way to make short dresses more appropriate for the office or other conservative environments. Leggings are going to provide a little more coverage for your thighs than pantyhose, and prevent unladylike flashing from happening. This is quite important if you are self-conscience about your thighs, or just feel uncomfortable with them fully exposed by a short skirt. In addition to this, leggings are a great way to adapt summer ware to colder climates. A skirt paired with leggings is going to be more comfortable in winter weather. Leggings certainly serve a purpose; however, none of these purposes are related to full-fledged pants. If you would like to see how to wear leggings the right and the wrong way, click here. Let’s get this out front, not all yoga pants are cut like leggings. There are many varieties of yoga pants, but for this article only, keep narrow, legging-like yoga pants in your mind. Yoga pants are designed to stay opaque, even when you are bending and stretching through a yoga session. This is done by a few key modifications that regular leggings do not have. The material used to make yoga pants is significantly thicker than what most leggings are constructed from. This makes a huge difference in how much other people have to see when you wear them as pants. Yoga pants are also going to have reinforced seams to beef up the construction to handle all this stress. The thicker material and reinforced seams are also going to help provide support, keeping the jiggle to a minimum. Check out this video to see the difference between leggings and pants. To sum all of this up, leggings and yoga pants are similar, but not the same. Critical design aspects of yoga pants allow them to be worn as pants in most situations. Leggings, which lack these considerations, are not going to be rugged enough to function as pants. Two important things to check, to make sure you are leaving the house in proper pants, include if they stay opaque when you bend over and if they keep the jiggle to an acceptable level. To test your pants you can perform the squat test; squat low, if you see your underwear they are leggings so dress appropriately. Yoga Jewelry Trends That Won’t Get In the Way of Your Practice!